Product information "Star Soap Dish"
Give your bathroom a trendy new look by adding our Star Soap Dish. Heavy clear glass emprinted with silver stars and a ridged base to keep your soap dry, this is a must have item for any bath or cloak room. We also have a hand soap pump dispenser and a tumbler for tooth or make up brushes. 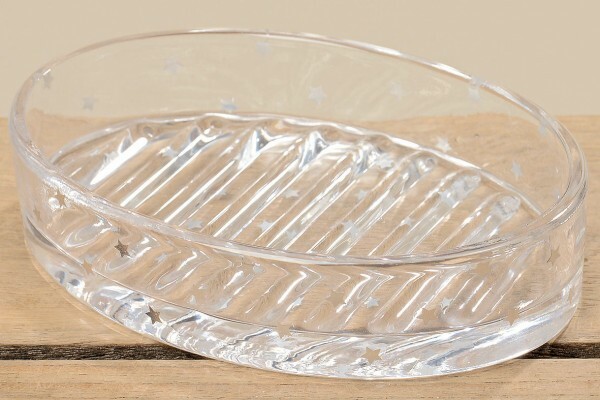 Related links to "Star Soap Dish"
Customer feedback for "Star Soap Dish"